"Let me show you what a dead man, a member of NEVER can do." Katsumi Daido, the Necro-Over that preceded the beginning of the Gaia Memory Project, and member of NEVER. A conflicted individual, Katsumi had endured disease, suffering, and experimentation through out his life. He was in a sense the protagonist of the W Returns:Eternal V-Cinema which would shed light on his later (chronologically) appearance as the villain of Kamen Rider W Forever: A-Z The Gaia Memories of Fate. I've never been the biggest fan of the Kamen Rider W franchise, I've made no secret of that. But Shinkocchou Seihou has managed to re-create the gorgeous designs of the series and films exquisitely. Eternal is possibly the greatest example of this line so far. Here's why! The familiar Shinkocchou Seihou slip cover box makes another appearance! Nothing can be said about it this time that hasn't been said before. Only perhaps that due to Eternal's primarily white color scheme that his character portrait looks rather plain on the front. In his first appearance (release order), Eternal is initially shown in his true form, Blue Flare. That's the one with the empty Gaia Memory holsters as well as (or without) his cape, the Eternal Robe. This form should not be confused for the earlier incomplete Eternal, Red Flare. Jun Kazu AKA the Utopia Dopant was the initial user of the Eternal Memory, but his incompatibility with it only allowed him access to the incomplete Red Flare form. Katsumi stole the T2 Eternal Memory & Driver and briefly assumed Red Flare during his first transformation before his perfect compatibility evolved the memory into the completed Blue Flare. The Seihou figure of Eternal, unlike the now ancient original figuart, comes in package loaded out in the further powered up Kyoka Busou/Strengthening Armament configuration. In this form Eternal's 26 Gaia Memory slots are filled thanks to the powers of the Zone Memory. While I'd rather review basic Blue Flare & work my way to Strengthening, I'll work from what we're given in package first. I apologize if that's a bit jarring in the gallery itself. With all that out of the way I just want to touch a bit on the functionality of the figure. I won't spend a ton of time on articulation because what you get is essentially identical to Seihou W & Seihou Skull. The W mold has, to me, been the pinnacle of Seihou/renewal engineering for Riders. Fantastic ankles and toe bends, really nice knees that look like a natural expansion of the costume akin to real fabric stretching, same for the hips. The right hip is weirdly very tight and feels like it could snap when applying too much pressure, I suspect my sample is a just a bit wonky is all. The legs are very tight generally on this release compared to W & Skull. And as with W & Skull, Eternal features an intricately detailed sculpt with appropriate paint apps for his Lost Driver, which is entirely functional. We have an open slot for any to-scale Gaia Memory to be inserted. I find that of the 4 Seihou W Riders I own thus far, Eternal has by far the most loose driver slot. If you breath, memories falls out of there. I'm still amazed at how well the upper body is designed as well. When I initially handled Seihou W, I thought that figure's torso was all one piece until I realized the upper body could move. Eternal still looks that good in hand, though the upper body joints are much tighter. This figure can pull off most any pose you recall him making, and looks absolutely perfect while doing so. I really want to touch on the fantastically sculpted & painted blue flames on Eternals' forearms as well. That electric blue just glows in the right light. I can't wait to see the eventual red flare repaint of this bad boy. Now to some specifics for Strengthening. I've included break down shot of the parts that are removable to change Eternal to standard Blue Flare. As you can see the hip holster, chest & back straps, and bicep strap are all removable. Here's the good part, these Gaia Memories don't come out of their slots as many people seemingly feared. They're molded as solid pieces so no worries losing those. Actually, two of the 26 memories are removable but I'll explain that in the accessories section below. These memories are extraordinarily detailed at their scale just like with the individual ones included for Drivers & weapons with these releases. It's details like this that make this a really sensible release as a web exclusive. It's just so lavishly detailed that it would totally cost out of being an affordable retail figure I'm sure. The standard Blue Flare form of course swaps the holsters out for the empty straps included with the figure. And it's very easy to swap every thing out. While all the parts plug in snugly they're easy to remove as well, even with how the right arm has to come off. The addition of the Eternal Robe completes this look quite nicely but I'll get into that a bit further below. 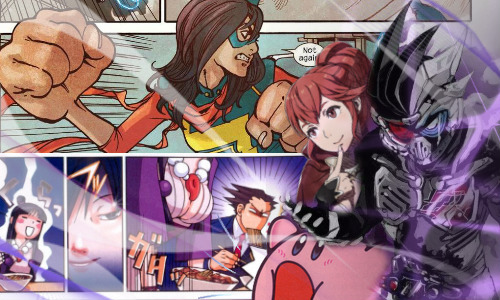 Bucking the trend of many Web Exclusives, Eternal is loaded down with cool stuff! 3 - Individual Gaia Memories. That's the Eternal, Unicorn, & Zone Memories. Each is phenomenally detailed and easily lost. So be careful! 1 - Eternal Edge. Eternals' personal weapon is a fairly simple knife with a Gaia Memory slot on the back of the grip. Surprisingly this holds memories much more securely than the Lost Driver can. 6 - sets of hands. That's kind of crazy honestly. So many hands, and frankly not enough variety. Like 2 sets that essentially accomplish the same thing, holding memories. While we only get one open palm set of hands that's so unnatural and expressionless. The two varieties of Edge holding hands are great though. A different pair to hold it correctly blade out, or upside down. And I'm always a fans of thumbs up hands, so lucky for me Eternal comes with a right & left. I would have just really liked some more expressive action style hands. 1 - set of empty memory straps. As I mentioned above these are very easy to swap out and I've included some pictures for each component. The only trouble you might have is in plugging the chest and back straps back on. I had a small degree of trouble getting them to line up and peg back in properly. 1 - Eternal Robe. This, this is the thing that really sets this figure apart from just about any other rider figuart out there. A fully poseable wire frame silk cape? Yeah that's the dream for any caped hero. While undoubtedly accessories like this can be frustrating to manage and wrangle because of the way the wire that gives it shape will bend, but I think the pictures speak for themselves. It's possible to create some incredibly lifelike poses thanks to this accessory. To use it with Eternal, whether you're using the fully loaded memory straps or empty ones, you'll need to remove the top two slots/memories that are just at the shoulders below the enck. Take Eternals' head off as well and sit the robe around his neck. Then just plug the head back on. My only complaint is that the neck part of the robe doesn't lock onto the body so much as rest on the pegs where the top two Gaia Memories/empty slots were before But I really think this is possibly my favorite accessory in recent memory. I want every upcoming figure with a cape to do it this way. Seriously the cape is worth the price of admission alone. That's a damn fine selection of parts for any figure. I didn't preface my review by saying this, but I absolutely hated the Katsumi/Eternal character for years after his debut. I just didn't care for him as a somewhat generic villain. I cared even less so for him after the W Returns V-Cinema attempted to make him more sympathetic & a little heroic. But the suit design has always struck me as one of sophisticated simplicity. And the figure comes across as total perfection. Shinkocchou Seihou Eternal is one of my favorite releases so far this year, and easily one of the top 5 of all Seihou figuarts. I'm just blown away by the functionality and versatility of this release. If you're a fan of Kamen Rider W, or this character, buy him now before prices begin to sky rocket. Last edited by Den-O; 03-23-2018 at 11:58 AM..
Last edited by Den-O; 03-23-2018 at 12:01 PM..
As it is, I'm hoping that the robe for Shinkocchou Seihou Wizard uses the same technique as Eternal, since it does look really good. 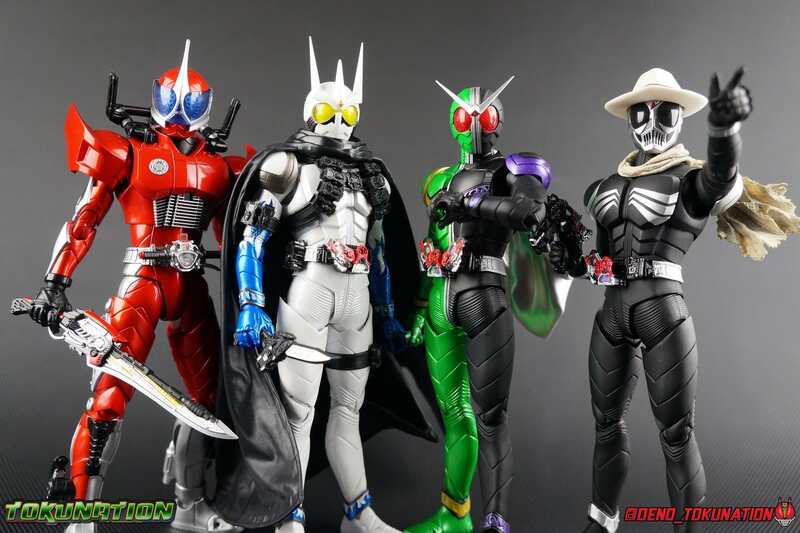 Finally, cloth capes on Rider Figuarts. 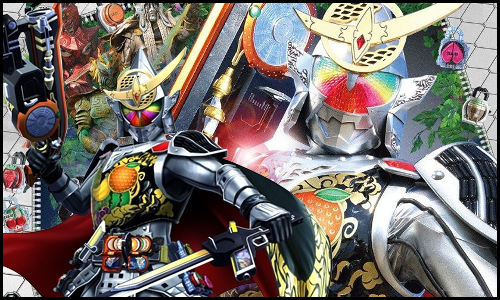 I cannot wait until they re-do Gaim Kiwami Arms one day. I passed on this figure though, as cool as it looks I just didn't care enough for the character. Trust me, it's not a bad thing the memories on the belt aren't removable. It would be a total nightmare if they were. I've never cared for the character personally, it's just that the suit design is so gorgeous. And this figure captures it's essence perfectly. thanks for taking the time to do all those pics. I love the gaia memory vest. And why does the cape look better here than in the actual show?